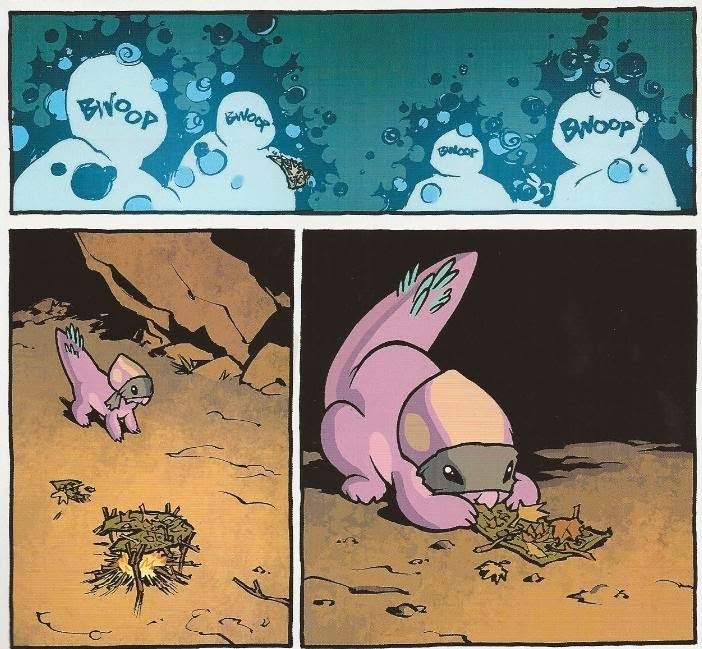 We here at LITC were pleasantly surprised by Sophie Campbell's art in the recent Turtles in Time #1, which depicted all of its prehistoric creatures with various feathery coverings (including, presciently enough, the ornithischians.) When it turned out that Sophie Campbell is active on Deviantart, well, that was too tempting an opportunity to resist. I reached out with a few questions, and she was kind of enough to reply. So how did you end up on the Turtles in Time creative team? Did you have much input on the setting and on which dinosaurs were featured? My editor Bobby asked if I wanted to draw Turtles in Time #1, I said "of course I do," and that was that! The writer, Paul Allor, and I talked a bit beforehand about the setting and which dinosaurs we were going to use. Paul picked the ones neccessary for his script, though, such as the Tyrannosaurus and the Triceratops, although for some of them it was more of a general type, like something that could fly. The specific species was left to me. Pepperoni is a great little side character. Do you have much of an interest in paleontology? Do you see yourself drawing them again in the future? I don't have a big, active interest in it, other then that I like dinosaurs. I don't read up on the science or the new discoveries that often, but I still enjoy it. I especially love reading about the weird discoveries that shatter the popular image of what people think dinosaurs are. I used to draw dinosaurs a lot as a kid, and I'd love to draw them again in the future. 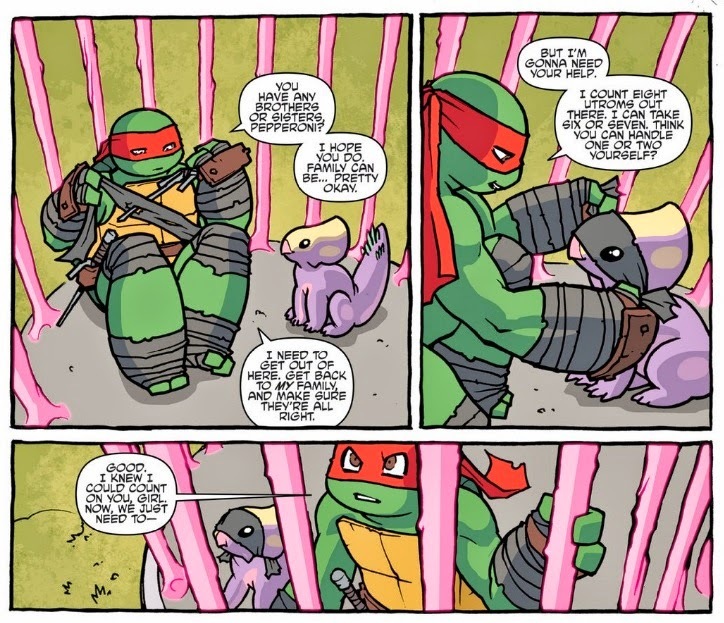 I'm doing a Ninja-Turtles fan-comic right now that I post online, and some dinosaurs might show up in that. 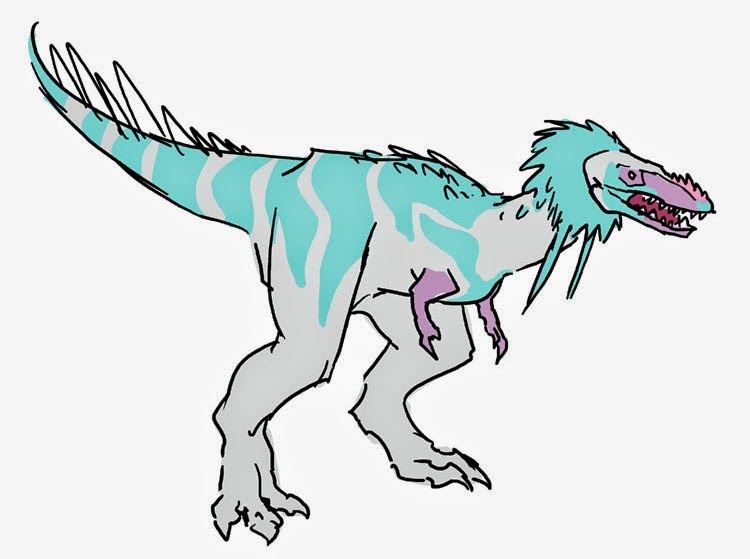 What was the process you used to do the dinosaur character design? Was it something you had a lot of freedom with? Paul and I were on the same page before we ever discussed it. I've always loved dinosaurs with feathers since I was a kid, so I knew that was what I was going to do. I wasn't sure how Paul or Nickelodeon would like it, although I was prepared to fight for it. I can get pretty stubborn. But luckily, Paul asked for feathered dinosaurs before I even said anything, so it worked out. Early on I had been planning on coloring the issue myself, so when I did dinosaur sketches I did color schemes for them too. Some of which eventual colorist Bill Crabtree used, like the colors for the Tyrannosaurus and Pepperoni. Nickelodeon didn't like my Triceratops colors, so we had to change that. It was a little too weird, I guess. I love bright and weird colored dinosaurs, though. I get bored of everything always being shown in grey and brown and single solid colors. I wanted the dinosaurs in the background to be more colorful than they ended up being, but there was a bit of concern over my Valentine's Day/Easter-colored dinosaurs, so it was scaled back. Another thing was that even though I wanted there to be some accuracy, like the feathers, I also wanted it to be cartoony and cute. I love Jurassic Park and all that, but I get a little tired of dinosaurs always being expected to be "badass" and fearsome and ugly all of the time. So I wanted to do something in the middle, which, to me anyway, makes them seem more believable within the world of the comic. And it just fit the tone better. Was there any kind of dinosaur that you wanted to add but couldn't? I would have liked to have drawn some swimming dinosaurs, and it would have been fun to draw the Turtles dealing with something really big, like a Mamenchiasaurus. It would be fun to draw something at that scale. 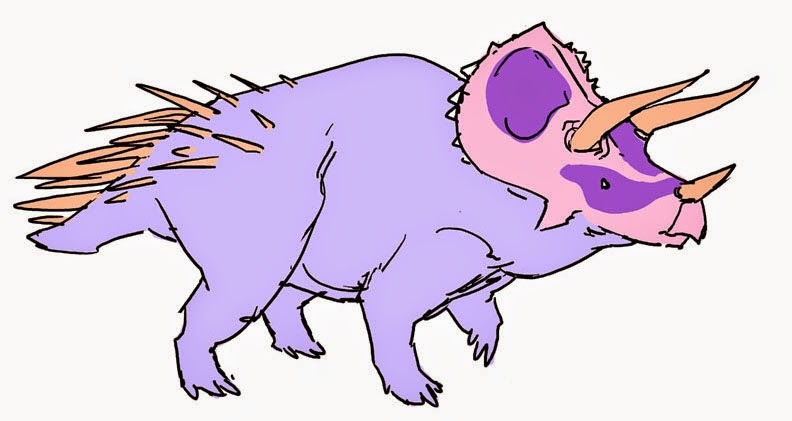 Finally, what's your favorite prehistoric animal? I love Glyptodon! 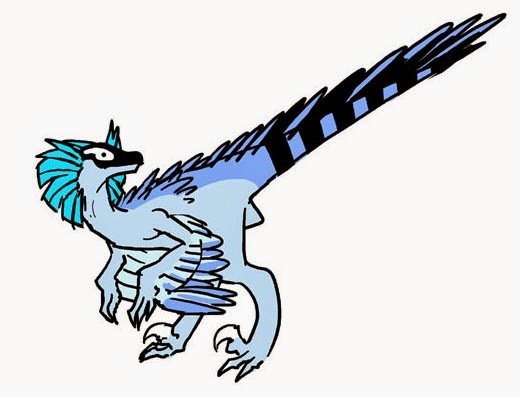 And Deinonychus. Thanks for the interview! OK, Pepperoni, play us out. Subsequent to the publication of this article, the artist came out as a trans woman. This post has been edited to reflect her name change. In the first part of our examination of The Mysterious World of Dinosaurs, we came upon chubby, oily-looking tyrannosaurs, alarmingly carnivorous-looking stegosaurs, and Godzilla. However - and as the title implies - this book goes beyond the eponymous archosaur clade, taking a look at various other Mesozoic monstrosities. 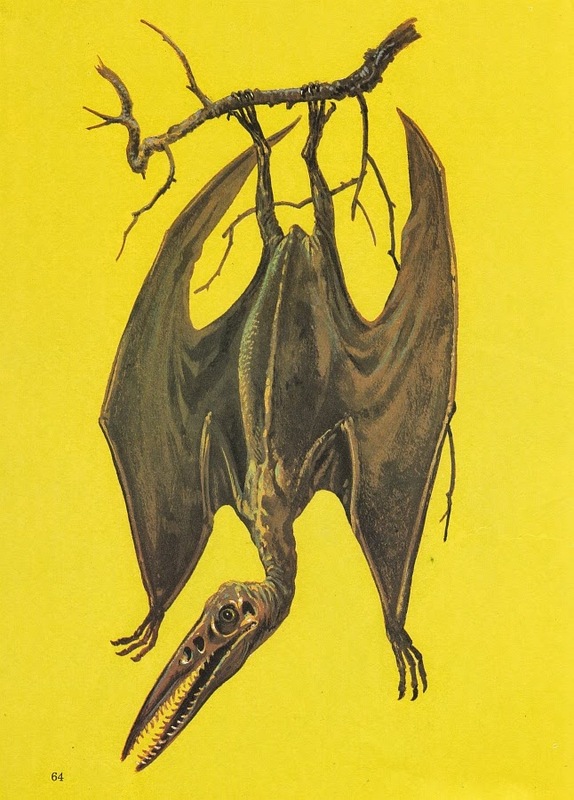 Bring on the zombie-pterosaurs! "Forest Green." A dandy paravian, © Maija Karala and used with her permission. I'm always excited to see new work pop up in Maija Karala's DeviantArt gallery. A Finnish biologist and writer, her enthusiasm for biology also finds voice through her illustrations, which range from fleshed out scenes to charming sketches. I can't remember exactly when I began following Maija's illustrations, but I do remember being particularly struck by her Tarpan fending off a lion. "Don't Mess With Tarpans." © Maija Karala and used with her permission. Here, a young cave lion is about to learn why one should be careful with tarpans. It's July somewhere close to the edge of the ice and the steppe-tundra is blooming. The plants depicted include Betula nana, Viscaria alpina, Rhododendron lapponicum, Orthilia secunda, Pedicularis sceptrum-carolinum and Dryas octopetala. Yes, the latter is the plant that was so common at the time at gave its name to the Dryas climatic periods. It's a great example of the qualities I admire in much of her work: a sense of drama, subtle and naturalistic color, dedication to research, all wrapped up in an eminently approachable aesthetic. I was happy when Maija agreed to do an interview for Love in the Time of Chasmosaurs, so I could ask her more about how she works. What is your background as an artist? Is it your profession or hobby? For me, art is mostly a hobby. I make my living as a science writer, mostly writing for newspapers and magazines. I do paid illustrations whenever I get a chance, but it's not very often. I'd love to do more of it, but the fact that I always thought it as just a hobby now hinders me a bit. As I haven't really practised my skills systematically, I only became good at the things I like doing. "Hamipterus." © Maija Karala and used with her permission. Do you get many opportunities to cover paleontology in your science writing? I get to cover paleontology fairly often, though not as often as I'd like. A few articles per year or so. On my blog (which is unfortunately in Finnish, but can be found at http://planeetanihmeet.wordpress.com/) I do write a lot about paleontology and use my own illustrations as well. Do you plan on continuing to do illustration as a hobby, or do you have professional aspirations? I'm working to become a better artist, and I'd love to do more professional illustrations too. Though writing is probably still going to be my main occupation. Was illustrating extinct animals always something you did or did you come to it later in life? I drew dinosaurs as a kid, like everyone else, but stopped somewhere in my early teen years and only started again when I began my university studies, seven years ago (I studied biology). During the gap, I mostly drew fantasy creatures, dragons and elves and stuff. I think the main reason I started making paleoart was to find sort of a compromise between drawing fantasy creatures and being a science student. Illustrating extinct animals is firmly rooted in science, but also lets you use your imagination in a way not really possible with bioillustration. "Eye Contact." Anurognathus ammoni, © Maija Karala and used with her permission. At what point in an illustration do you focus on the eyes? It's often a striking element in your work, whether fantasy or paleoart. I have never really thought about that. I do tend to think the eyes and expressions as the most important part of my drawings, as that's also what I pay the most attention when looking at live animals (or people, for that matter). Though I have no idea if everyone else does that too. After making a general sketch on what I want there to be and where, the eyes (or the facial areas in general) are usually the first thing I focus on. You seem to be especially drawn to feathery theropods. Is this due to a bird interest or is there some aspect of their form that is especially fun to draw? I think it's a bit of both. I like birds, sure. I also like drawing small and pretty animals. And feathers are always fun. Anyway, the main reason is probably that there's plenty of references and easily accessible knowledge available on feathered dinosaurs. It was an easy place to start back when I started making paleoart, and once I was familiar with them, it was also easy to continue. Lately, I have been moving on to other critters as a part of trying to learn new things. My DeviantArt gallery is now starting to have more things like fossil mammals and non-dinosaurian archosaurs than feathered theropods on the first pages. When illustrating an animal that has been covered by other illustrators, in what ways do you try to make it your own? I always try to find other sources of inspiration besides other people's depictions of the same animal, sometimes actively avoiding looking at them when planning to make my own reconstruction. I often look up modern animals with somewhat similar ecology and use their soft tissues and behaviour as inspiration, but try never to directly copy anything. I mostly avoid using the most obvious colour themes or soft tissue ideas. That's not to say I never stumble on paleoart memes, but I do try to avoid it. "The Feathered Yeti." Xiaotingia zhengi, © Maija Karala and used with her permission. How much do comments on dA influence your work? For instance on your "Feathered Yeti," the comments get into some serious detail about integument. When posting work do you post with the expectation that you'll receive critique on areas you're not sure about? To be honest, DeviantArt comments have probably been the most important thing pushing me to get better at making paleoart. These days I usually do my research before drawing, but especially earlier it was a great motivator to make embarrassing mistakes and get someone tell it to me. I'm pretty sure I never made the same mistake twice. As I have mostly learned paleontology and anatomy on my own (for years, I had no paleontologically oriented friends nor any education on either subject), the criticism has been invaluable. I still greatly appreciate all the experts who go through the trouble to nitpick on amateur drawings. "I Immediately Regret This Decision." Thalassodromeus attempting to eat Mirischia, © Maija Karala and used with her permission. 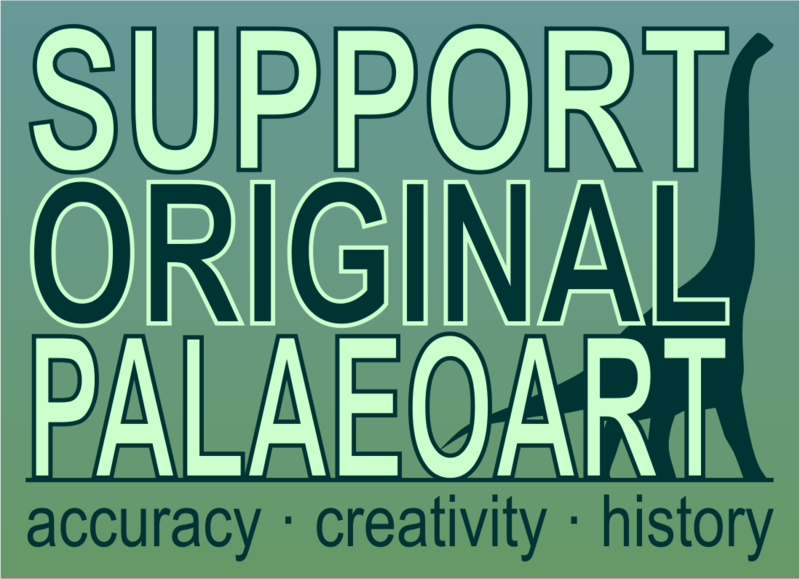 So, who are some of your favorite expert paleoartists? Is there a particular piece of advice or critique you received that has stuck with you? I really like the works of people like Alain Bénéteau, Ville Sinkkonen, Carl Buell and Mauricio Anton, just to mention a few. My favourites are the people who can combine an expert understanding of science with truly beautiful art and get the animals to really come to life. I also really like Niroot's style. And John Conway's. And... ok, I'll stop here before the list becomes ridiculously long. I don't think there's any particular piece of advice that has been especially memorable. It has been more about the general message that I need to know more. It's something I simply didn't get elsewhere for most of the time. As nobody I knew personally had the expertice to tell me the feet of my Quetzalcoatlus are wrong, most feedback was more like "oh, a nice dinosaur. What do you mean it isn't a dinosaur?". Thank you to Maija for answering my questions - and patiently waiting for me to have time to put the post together! I hope you'll stop by her DeviantArt gallery and leave some support and constructive criticism on her illustrations. 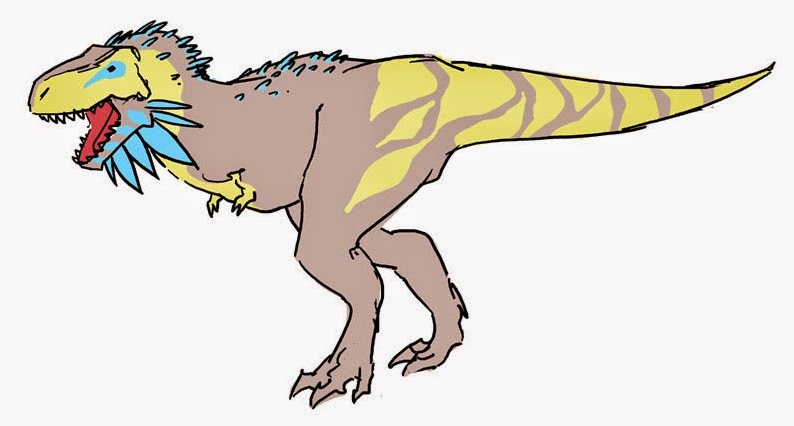 Also check out the recent post at i09 featuring Maija's Protoceratops/ Griffin illustration. "Go Home, Evolution." Atopodentatus, © Maija Karala and used with her permission. Contrary to the beliefs of some - who seem to think that I collect these books by holding a net out of the window and reciting an arcane incantation until obsolete illustrations start falling from the clouds - I do actually physically own the vast majority of the books I review in Vintage Dinosaur Art. As time goes on, finding fresh old books and not paying through the nose becomes increasingly difficult. Praise be, then, to the Amnesty International book shop in Brighton, which is where I happened to find this gem of a book on sale for a single quid. Stumbling across something like this, and being able to walk out of the shop with it in my clutches, is a real joy. And believe me, this book is a corker. 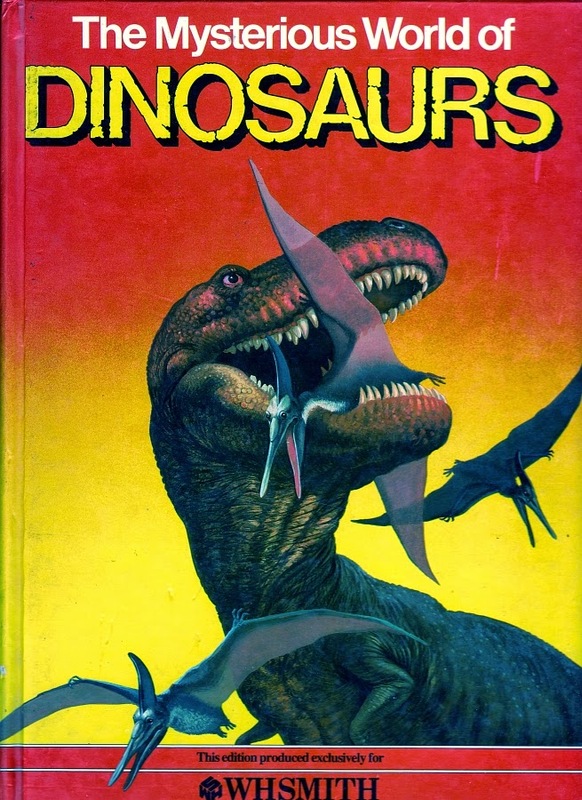 Welcome back to the wonderful world of old-school dinosaur books - hey, it's been a while. 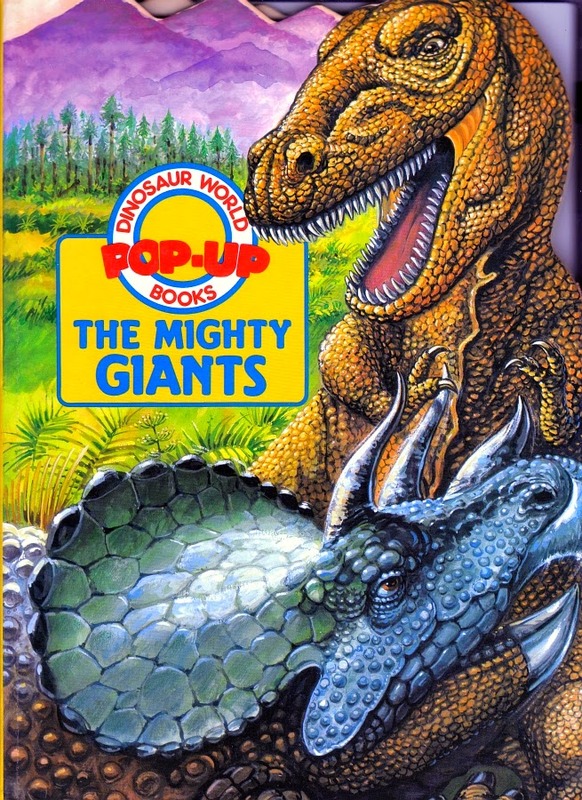 The Mighty Giants - part of the Dinosaur World Pop-Up Books series (which ran to at least two books, apparently) - was published in 1988, but for all its scientific infidelity, it might as well have been published in 1978...or 1968. Yes, it's one of those. Hold on to your pear-shaped tyrannosaurs and oddly uniform teeth, everyone! 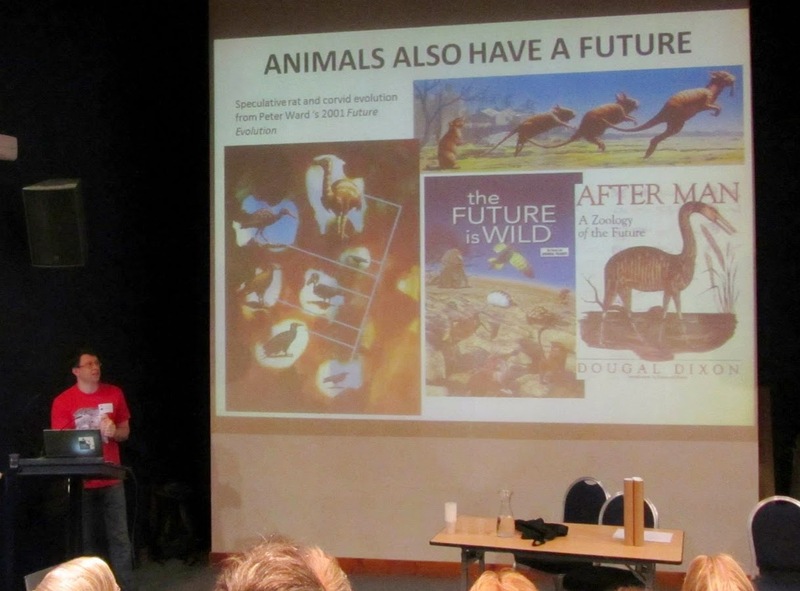 Darren Naish and John Conway will be hosting the first TetZooCon in eleven short days, at the London Wetland Centre. I have been drooling over the announced speaking lineup since I learned of it, but with an ocean between us, it's just not in the cards for me. The deadline for booking your place at the event is this Friday, July 4. At £40, the price is very reasonable (if only airfare and lodging didn't cost anything). John opens the conference with his welcome, followed by Darren on speculative paleontology and a Mark Witton talk on the speculative idea of post-Mesozoic pterosaurs. 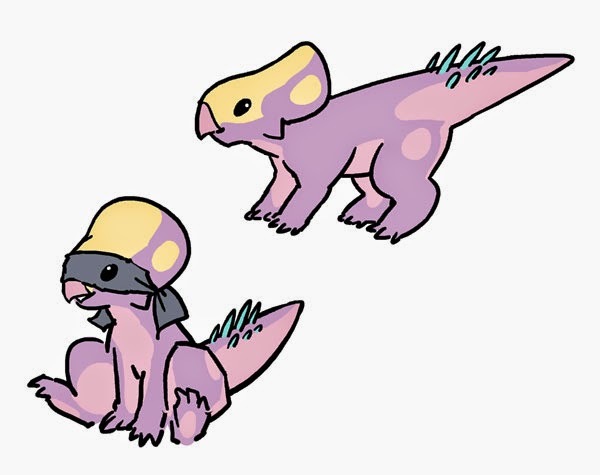 The rest of the day is as wide-ranging as TetZoo itself, covering cryptozoology, paleoart, and good ol' normal everyday extant tetrapods like amphibians and giraffes. The day is absolutely packed, and I can imagine a gaggle of overstimulated convention-goers wandering London babbling snippets of talks. Darren has also opened up a new Redbubble shop with his illustrations accompanied by cheeky captions. They're pretty funny. Keep in mind that this is a second shop, in addition to the TetZoo podcast shop, so don't get confused and punch your computer monitor or throw your monitor or something. Because then you'd have to replace it, and would have less money to pack into Darren and John's pockets.